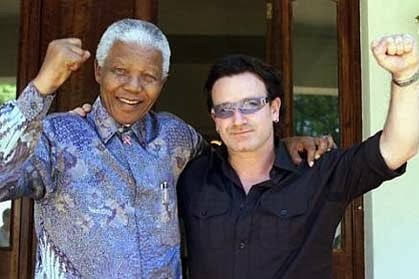 U2’s next album won’t be with us until spring 2014, but they have a new song on "Mandela: Long Walk to Freedom," the new biopic starring Idris Elba and Naomie Harris. The band wrote “Ordinary Love” after they saw early cuts of the film. “We are delighted to have U2 write an original song for 'Mandela: Long Walk to Freedom',” says producer Anant Singh. Here's the trailer for the film, featuring "Ordinary Love."